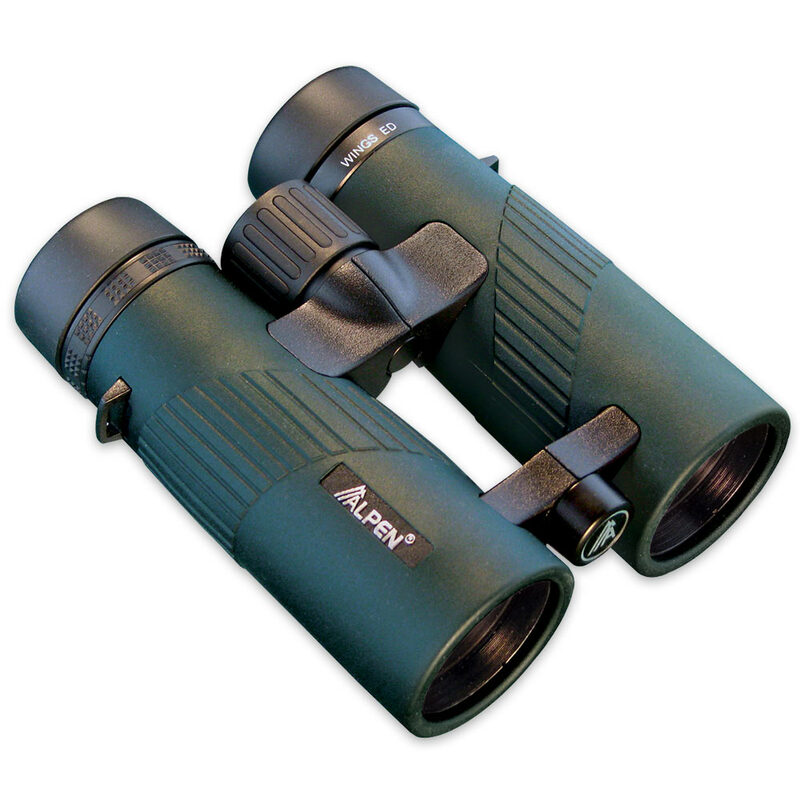 Alpen 8X42 Wings EDHD Glass Waterproof Binocular | BUDK.com - Knives & Swords At The Lowest Prices! The Alpen 8X42 Wings EDHD Glass Waterproof Binoculars deliver an ergonomic, lightweight design with super bright, sharp optical performance. The open hinge body design provides comfortable viewing and the rubber armoring provides holding comfort and shock protection. ED optics provide the very best in color fidelity and contrast in all light conditions. These binoculars feature BAK4 optics that allow hunters, shooters, birders, boaters, and outdoor enthusiasts clearer, brighter viewing under all conditions. The BAK4 optics give you clear, bright, high resolution images and the PXA phase, combined with the metallic prism coating, delivers a brilliant, crisp image. They are fully waterproof, fog-proof and have long eye relief, which is great for eyeglass wearers. The twist up eye cups provide comfortable viewing with or without glasses. You get soft rubber rain guards, a deluxe travel case and a premium quality neck strap with the binoculars.